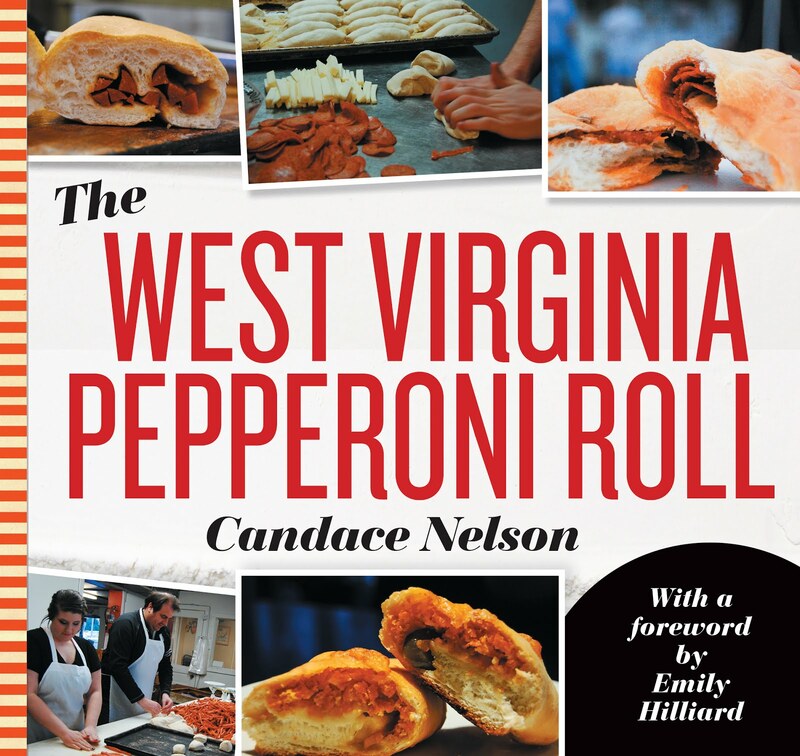 Just a few more places on my 101 Most Unique Places to Dine in WV list, and we've made it to Parkersburg. 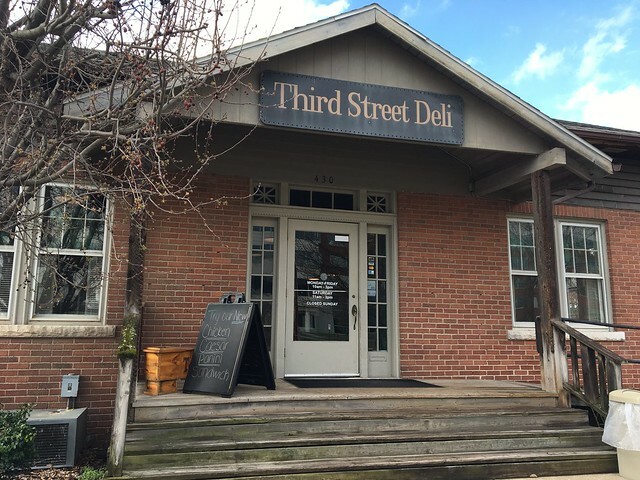 Third Street Deli has locations in both Marietta, Ohio, and Parkersburg. So, I drove back on 3rd Street, parked outside the building and walked in to see a huge menu with tons of sandwiches, salads and soups. I think a deli is a key part of a restaurant scene, and I wish Morgantown had a solid one. 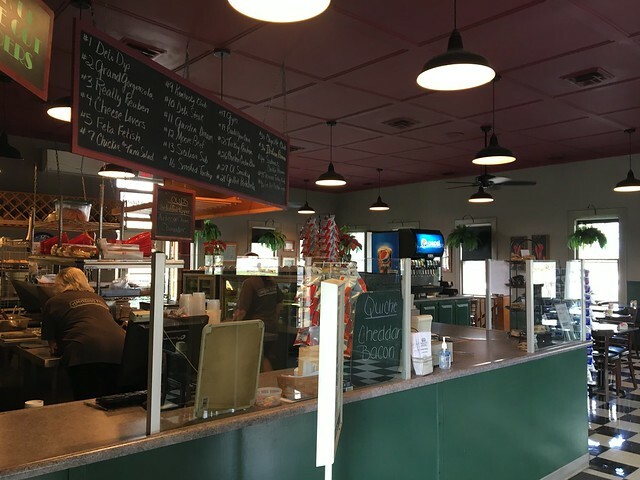 The space is a substantial size with lots of smaller tables. Look over the board at the counter, order up there and then have a seat. There's also an outdoor seating area that I'll have to check out in nicer weather. Seasonal fresh-made deli sandwiches, soups, salads and desserts. Eat-in or take-out. Besides indoor seating, enjoy our seasonal outdoor patio. Complete catering service. They're the great little place you'll keep coming back to. 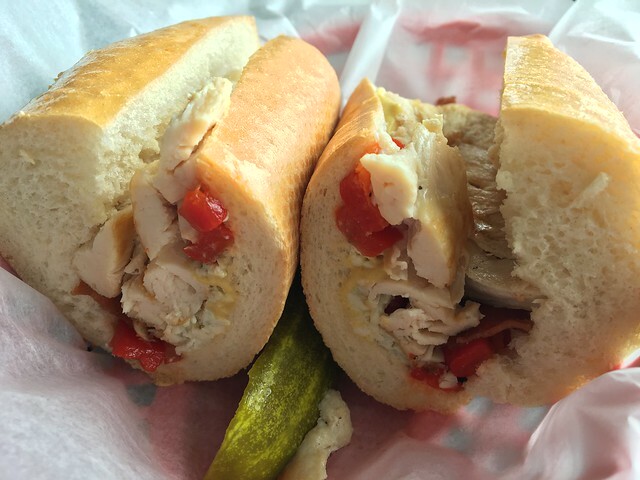 I ordered the #2 "Grand Gorgonzola," which had grilled chicken breast, bacon, roasted red sweet peppers, gorgonzola and a touch of Dijon mustard on a Third Street roll. I thought this was good. It's pretty simple. I think some simple touches - maybe warming the chicken so that gorgonzola melts a bit or toasting the bun so there's just a little crunch so there's texture - would really make this even better. But, still, it's a solid sandwich, and I'd love to try another! What's your favorite? Which should I try next time?